Your appetite is a physical and psychological phenomenon. People tend to eat when they are stressed or bored or even because it is the appropriate meal time even if they aren’t hungry. Overeating is common today, for both those who are overweight and those who maintain a healthy weight. You can find plenty of diet pills and weight loss programs that claim to suppress your appetite. Instead of paying money for these programs and pills, however, you can learn to reduce your appetite naturally via exercise and diet. Experts constantly say that breakfast is most important of all meals since it gives us the nutrients and energy we need to boost concentration during the day. Breakfast also helps us keep a healthy bodyweight without binging on snack foods rich in sugar and fat before lunchtime. In fact, if you skip breakfast, you are more likely to overeat later on, putting you at risk of obesity-related illnesses such as insulin resistance, being overweight, hypertension or elevated concentrations of fasting lipids. If you get hungry, you can avoid food cravings by choosing healthy snacks. Opting for lean proteins, fruits, or vegetables will give you minerals, vitamins, and other nutrients that your body can use in a healthy manner. Instead of having sugary drinks, choose water. Remember that eating more fat, salt, sugar, or carbs makes you crave these items more. If you eat healthy fats, you will slowly decrease sugars, helping reduce cravings and prevent blood sugar fluctuations. One of the methods of how to reduce appetite is to trick your mind by using smaller plates and bowls. Most people serve themselves based on the size of the plate used. In addition to using smaller plates, try to serve your meal and then leave the leftovers in the kitchen. If leftovers are on the table, they will be in your mind, making you more likely to overindulge. When you work out, you will sweat a lot and your reaction to various food signals may be reduced right after your workout. In addition to keeping your mind off food, exercise can alleviate stress and boost your mood. Aim for a moderate quantity of exercise daily for the best results. Mindful eating involves avoiding distractions while eating, such as being on the computer or watching TV since distractions can distort your ability to tell portion sizes. It also involves pacing yourself while eating. Eating more slowly and chewing your food more thoroughly lets your brain recognize the flavor and gives the food more time to travel to your stomach and let you know it is full. You should aim to eat for a minimum of 20 minutes per meal, chewing your food until it reaches the consistency of applesauce. Fiber is a type of non-digestible complex carbohydrate that allows you to consume minimal calories while feeling full. Oatmeal and other foods rich in fiber are great for learning how to reduce appetite by giving you sustained energy while regulating your body’s release of blood sugar and insulin. 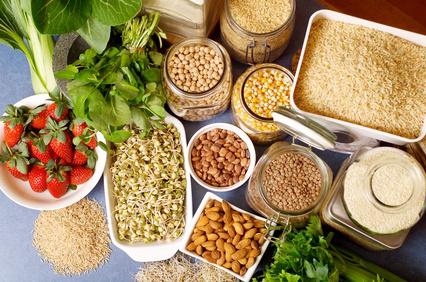 You should aim to eat 14 grams worth of fiber per 1,000 calories with recommended values of 28 and 38 grams for women and men respectively. If you want to lose fat, opt for fruits, vegetables and legumes rich in fiber. Choosing dark chocolate with a minimum of 70 percent cocoa will provide enough bitterness to help reduce your appetite. This is because coca has steric acid, a substance that makes you feel full longer and slows digestion. You can boost the effects of dark chocolate by having it with some coffee. Water takes up room in your body and since your body is made up of mostly water, it needs this liquid regularly. 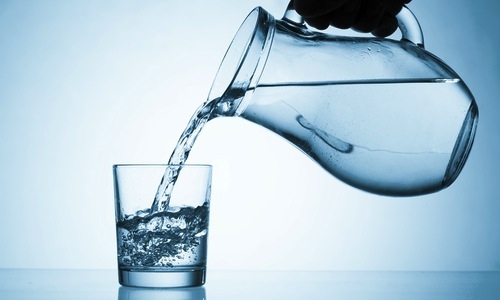 In addition to suppressing appetite, water has no calories. Instead of following the old advice of eight glasses a day, do some quick math to figure out your ideal intake. Take your weight in pounds and divide it in half to get the number of ounces you should be drinking daily. If you want to flavor your water, add a few drops of lime or lemon juice. You can even use water to stay full between meals or snacks. Plenty of studies have shown that not getting enough sleep will negatively impact your body, including increasing your hunger hormones. This in turn makes you crave snacks during the day. If you don’t get enough sleep over a long period of time, you are likely to eat significantly more food. This is because the hormone leptin which is released by fat cells and suppressed appetite depends on the amount of sleep you get. Many people have found that doing yoga reduces their appetite. Yoga increases awareness of your body, making you more sensitive to feelings of satisfaction and reducing your urges to snack on junk food. Even just doing yoga an hour per week can reduce your appetite. Yoga also reduces stress, which suppresses the hormone cortisol that has been linked to binge eat. Actual physical hunger develops gradually and will be satisfied with nearly any food. You will stop eating naturally when full without feeling guilt. If you are eating from boredom, the hunger will be sudden and for particular foods, leading to overeating and possible feelings of guilt. Consider keeping a food journal where you also note your feelings before as well as after eating. If you notice you tend to eat unhealthy things at a certain time of day, distract yourself during that time. 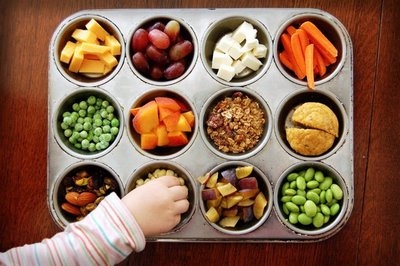 You can also try thinking about healthy foods as a way of how to reduce appetite. Certain foods have been known to help suppress your appetite. If your stomach gets empty, it will produce ghrelin, a hormone that leads to hunger. Certain foods can help with this. Apples, for example, have soluble fiber known as pectin that limits the calories and sugar absorbed into the blood stream. Bran works well because it is non-digestible carbohydrate and it expands in the stomach when it absorbs water, making you stay full. Green tea helps by affecting the hormones that make you feel satisfied and stimulating your metabolism. Red wine vinegar contains acetic acid that lets food stay in your stomach longer, suppressing hunger. Server responsed at: 04/24/2019 5:53 p.m.